A WOMAN WHO had a delayed cervical cancer diagnosis uncovered in a recent review by the HSE has spoken out about the experience. 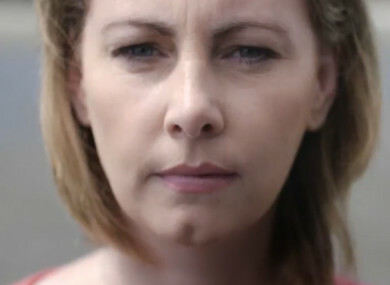 Emma Mhic Mhathúna, a mother of five children, said she underwent smear tests every three years since the birth of her 15-year-old daughter Natasha, and that all the results had come back as normal until 2016. “That was Wednesday and on Monday I got the MRI and the doctor told me I had stage 2B cervical cancer. The CervicalCheck controversy was brought into the public eye following a court case by Vicky Phelan, who is terminally ill and was last week awarded €2.5 million over incorrect smear test results from 2011. Yesterday, Health Minister Simon Harris announced the launch of a Health Information and Quality Authority statutory investigation into the CervicalCheck screening programme. The HSE has confirmed that 17 women whose cases were reviewed as part of an audit have died. As of last night, only 113 of the 162 women not informed of audits into their smears have been notified, RTÉ News reports. Emma, 37, was treated at St Luke’s Hospital in Dublin, and she moved to Kerry six months ago. She is now under the care of Cork University Hospital. Emma said she has an appointment at the hospital every four months “to check that everything is okay”. On 4 April, Emma’s children were with her when she got the all-clear. “When there’s cancer in the house, the children are always worrying if everything is okay,” she noted. Despite getting the all-clear, Emma has been feeling ill and is worried something is wrong. Last Sunday, Emma’s doctor in Dublin called her to tell her she was one of the women affected by the CervicalCheck controversy. The doctor told me that the smear results I got in 2013 were wrong … the first indications of cancer, the cells changing in the body, were there. Emma said she is worried about the future and has arranged for her son Mario, who is in fourth class, to make his confirmation with his older brother Séamus next week. “There wasn’t enough uptake on the HPV vaccine. After what I’d gone through … I said I’d have to take a stand and help people,” Emma said of the video. She said she’s still in shock after finding out what happened. “My head is spinning … is it true? In 2004, I got a knock on my door to tell me my mother was dead. “It was unbelievable, she was 44. I was 23 at that time, and on my own. It’s like that again. I’m waiting to open my eyes and to be back in my bed and that this is not true,” she stated. Email “'How did things get so bad? ': Mother of five speaks out about delayed cancer diagnosis ”. Feedback on “'How did things get so bad? ': Mother of five speaks out about delayed cancer diagnosis ”.